NYC Pilots Payphone WiFi "Hot Spots"
As if New York City isn't already a giant WiFi hotspot, the city announced today that they will be adding free public WiFi throughout the 5 boroughs. The hotspots will be added to telephone kiosks, because I guess they're getting tired of being side walk decorations? Considering this is a pilot program, it's very indeterminate as to the future of the program. 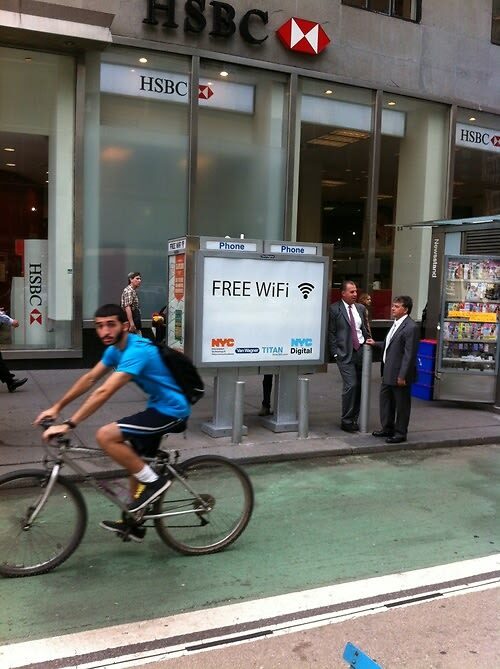 So enjoy the free wifi while you can! They've have started with 10 kiosks and will add more in the next few months. Check out the first 10 hotspots that will go up below!